It's #Choctoberfest, people! Woooo-hoooo!!!! We're celebrating with an amazing chocolate-packed giveaway (contest is open through October 11, 2015) and some fantastic new recipes. Like these Chocolate Peanut Butter Protein Truffles. Yeah, man, you heard me right. 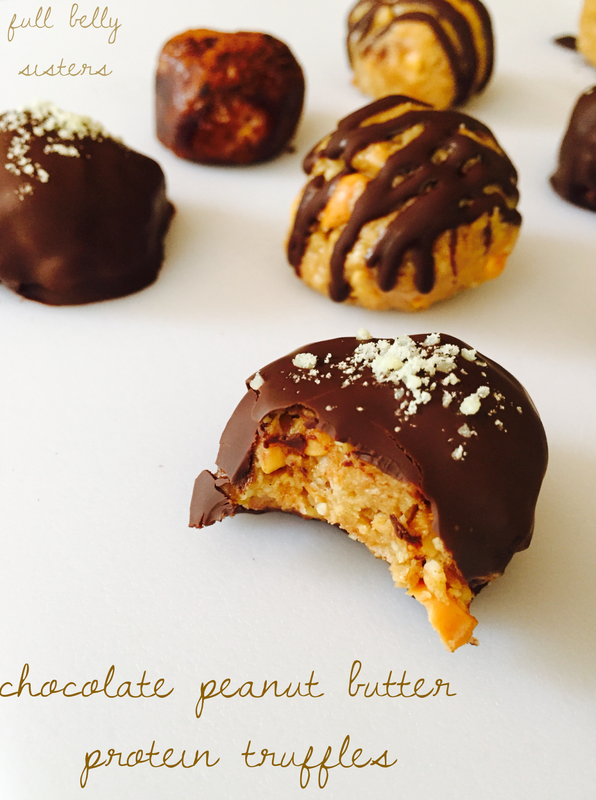 Chocolate Peanut Butter Protein Truffles. A super healthful, nutty energy bite covered in beautiful dark chocolate or cocoa. These gorgeous truffles feel indulgent—but they're packed with nutrient-dense ingredients to give you a wholesome boost of energy. And they take less than 10 minutes to make. 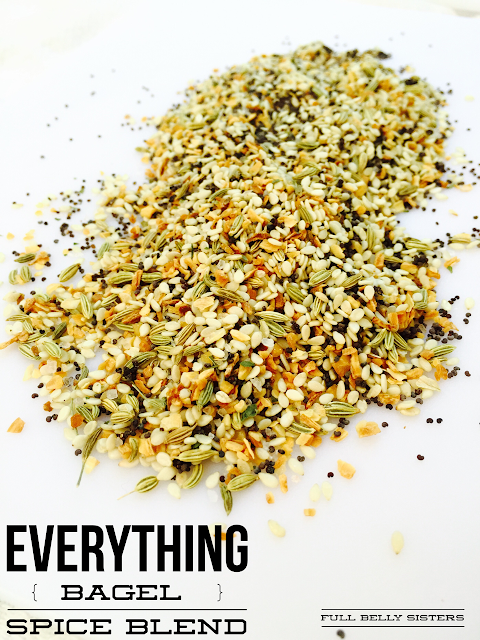 Easy, delicious, and nutritious. Boom. Just Hemp and Divine Chocolate are sponsors of Choctoberfest so I got lots of goodies from them. 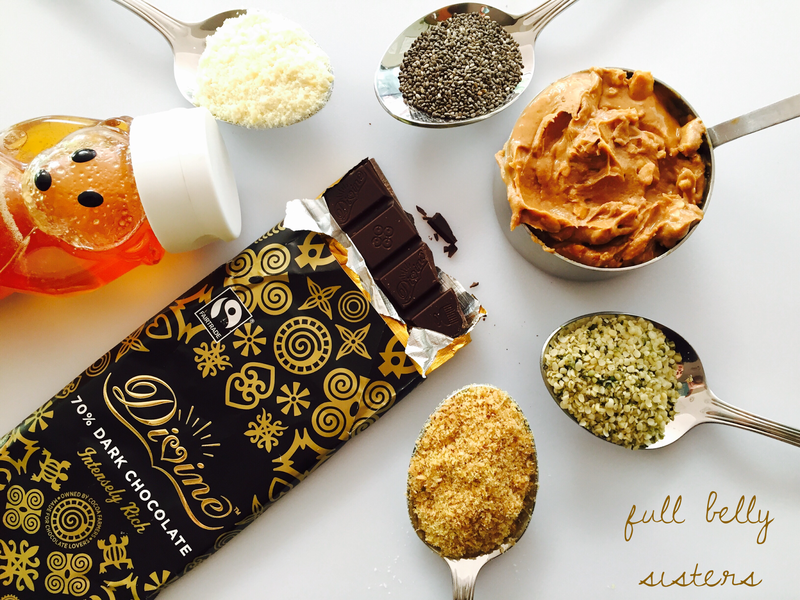 I'm happy to include Just Hemp's Hulled Hemp Seeds and Divine Chocolate's Fair Trade cocoa and 70% dark chocolate bar in this recipe. TIP: Spray the inside of your measuring cup with oil before measuring your peanut butter—the oil with help the peanut butter to slide right out of the cup! Mix the peanut butter, honey, seeds, and salt in a medium bowl. Stir until blended. Add the almond meal and stir until fully combined. It should feel like a very firm dough. If it seems too wet or sticky, add some more almond flour; if it seems too dry, add a bit more honey or nut butter. Place in the fridge for a few minutes; it's easier to roll into balls when chilled. While the "dough" is chilling, prepare your chocolate coating. If you want cocoa-dusted truffles, spoon some cocoa onto a dish. If you want to dip or drizzle your truffles, break or chop the dark chocolate into small pieces in a small bowl. Microwave in 30-second increments—stirring after each 30 seconds—until the chocolate is melted, smooth, and glossy. Remove the peanut butter mixture from the refrigerator. Scoop heaping tablespoons into your hands and form into one-inch balls. Place them on a plate covered in wax paper. I made my chocolate truffles three ways, so my dozen had some variety. Or you can just choose one preparation. They're all easy! Cocoa-dusted: Roll the truffles in the cocoa, pressing gently until the balls are fully coated. 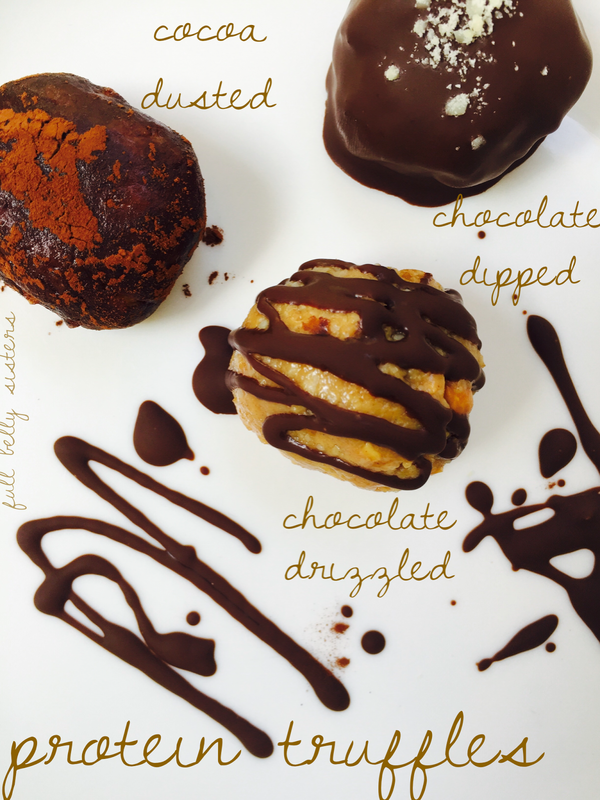 Chocolate-drizzled: Using a teaspoon, drizzle the melted dark chocolate over the protein truffles. Place in the freezer or refrigerator to firm up. Chocolate-dipped: Slide the edge of a fork under the ball, lift it, then drop it into the melted dark chocolate. Push it around gently, ensuring the whole ball is covered in chocolate. Then pick up the ball again, balanced on the end of the fork. Slide the bottom of the fork against the edge of the bowl to clean off any excess chocolate. Tilt the fork over your wax paper-covered plate so that the ball rolls off the fork. (Here's a video of this process, for you visual learners out there.) While the chocolate is still wet, add a sprinkle of almond flour on top for a little decoration. Then place in the freezer or refrigerator for the chocolate to harden. The cocoa-dusted ones do eventually soak up some of the moisture from the peanut butter balls. You can re-roll them or just, you know, eat 'em faster. That's it. They look pretty fancy, right? Yet they take less than 10 minutes to make! Kids love to help make these—and then gobble them up. And, even though they look like dessert, these truffles are nutrition-packed (providing protein, omega-3s, and antioxidants) and can legitimately be enjoyed for breakfast or as a post-workout snack. If you're a fan of protein powder, feel free to add some of that in place of some of the almond flour. These delicious little guys are super versatile! Place the truffles in an airtight container and store in the fridge or in the freezer. Grab and go when you need a quick bite or a healthy energy boost! Which one would you choose: cocoa-dusted, chocolate-drizzled, or chocolate-dipped? Chocolate and protein. Sign me up. They look like they came out of a specialty shop! These look so good! And healthy too? Sign me up! Chocolate dipped for me please! I'll take the chocolate drizzle. These are the kind of nibbles I love - healthy, chocolaty and delicious! I adore chocolate & peanut butter together, especially when it is good for you! I am a huge fan of healthy treats so I am in LOVE with these! They look too good to eat! Made these today and they are delicious! Made mine with almond butter. yum! 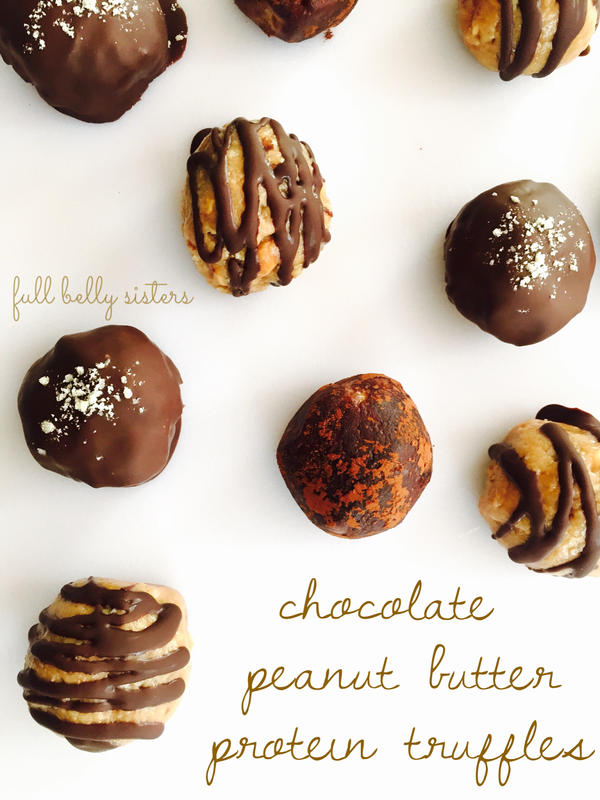 Chocolate peanut butter protein truffles looks delicious Love to try it, thanks for sharing with Hearth and soul blog hop, pinning and tweeting. Awesome, let us know how you like them! these look too good! i want some! This is something I could go for. They look delicious. This sounds interesting and easy to make. We have to try these. 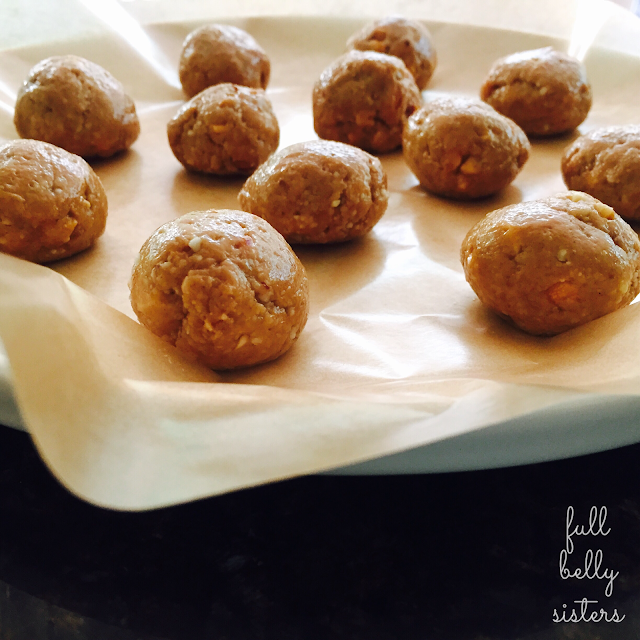 These sound amazing and thank you for sharing your recipe with us.